Data can be stored in internal memory, or streamed to a central PC running the DataNet software for recording, charting and display. Data can be displayed in tabular or chart formats or the user can display a plant mimic with data overlaid. Logged data can be exported to a spreadsheet for further analyses. 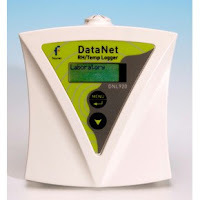 The software also enables you to configure, calibrate or update the firmware of DataNet units wirelessly.